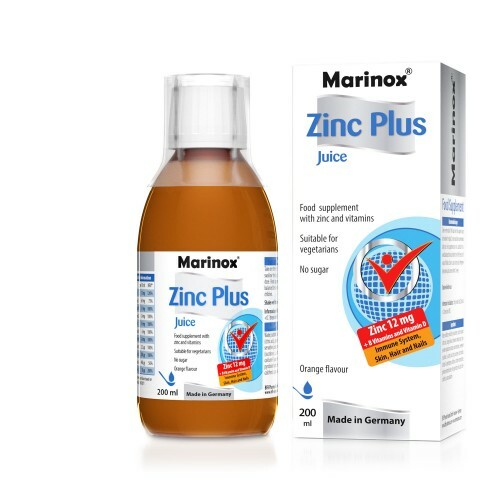 The well fruity orange tasting Marinox® Zinc Plus Juice contains a carefully selected and balanced combination of micronutrients. 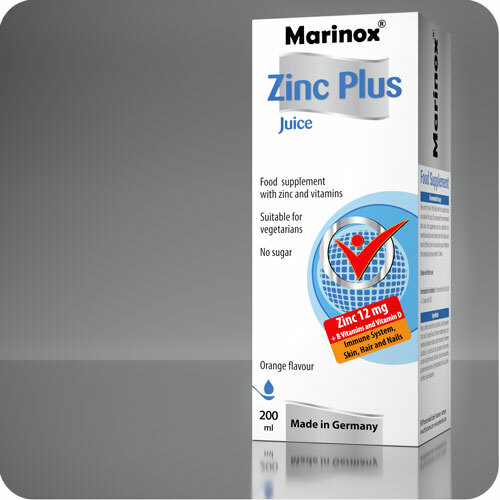 Zinc, Vitamin B2 and Vitamin C contribute to the protection of cells from oxidative stress. Zinc, vitamin C, vitamin A and D together with folic acid, vitamin B6 and B12 contribute to a normal function of the immune system. 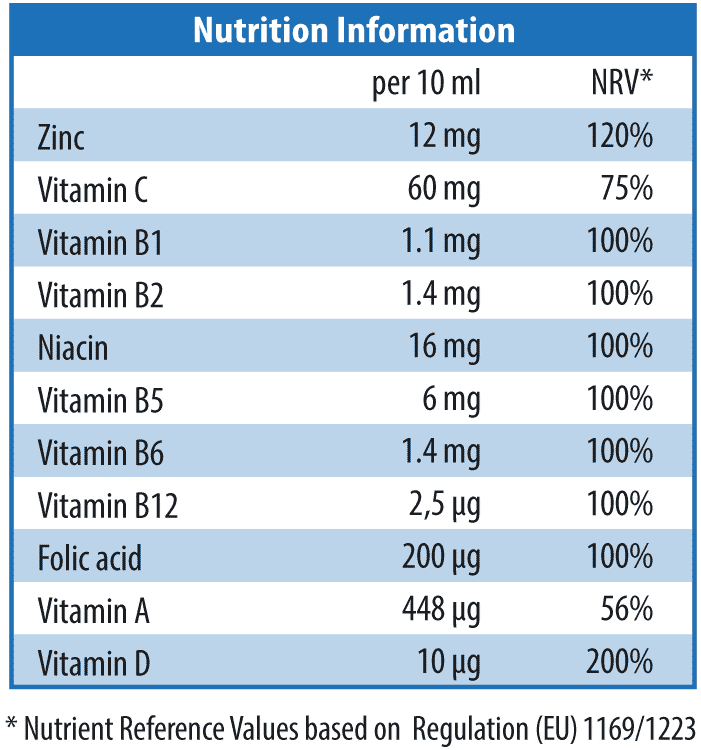 Niacin and folic acid contribute to the reduction of tiredness and fatigue. 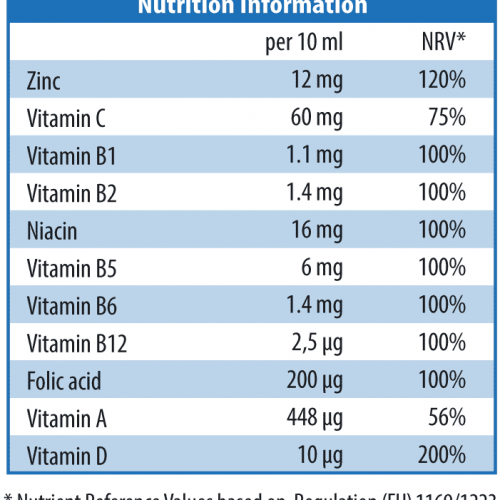 Folic acid contributes also to normal formation of blood. Water, sorbitol, emulsifier (polysorbate), acidity regulator (citric acid), orange flavour, thickener (xanthan gum), pre-servative (potassium sorbate, sodium benzoate), sweetener (sucralose), L-ascorbic acid, zinc gluconate, nicotin amide, calcium-D-panthotenate, riboflavin, thiamin mononitrate, pyridoxin hydrochloride, retinyl palmitate, folic acid, chole-calciferol, cyanocobalamin.